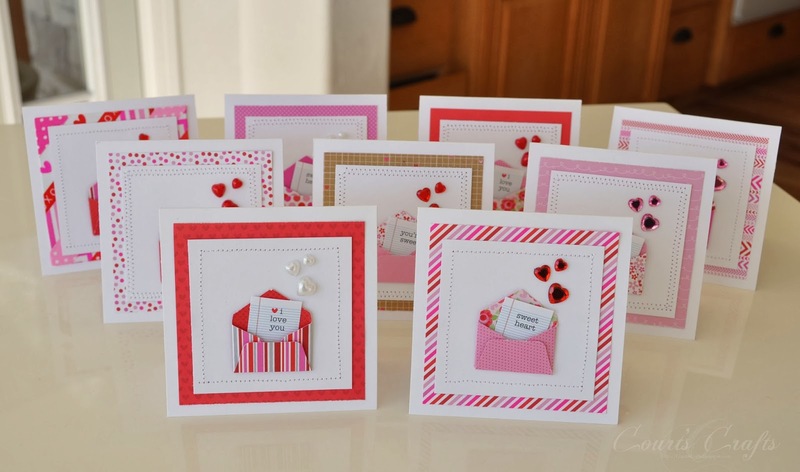 Every year I send my bridesmaids valentines. I am sure they will love these ones! Seven are for my bridesmaids and two are for Emmaline to give to her grandmas. The background papers are all from the 6x6 paper pad. Aren't the designs scrumptious!?! Here are some close-ups of the valentines. 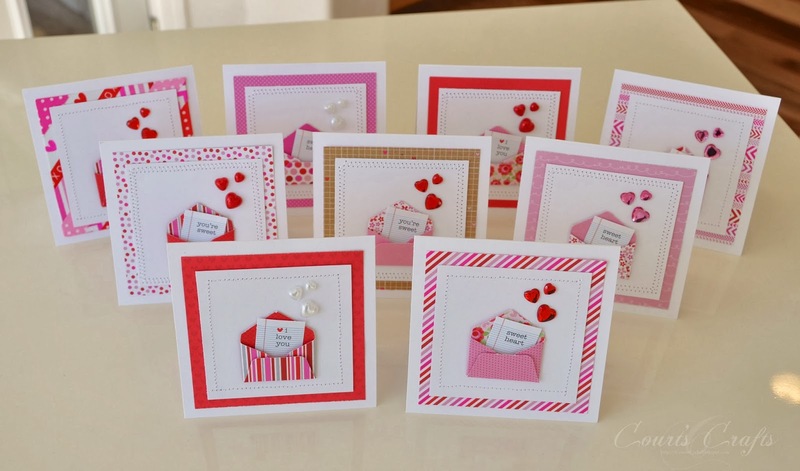 And here they are - my little army of valentines ready to be bring joy to some very special ladies! 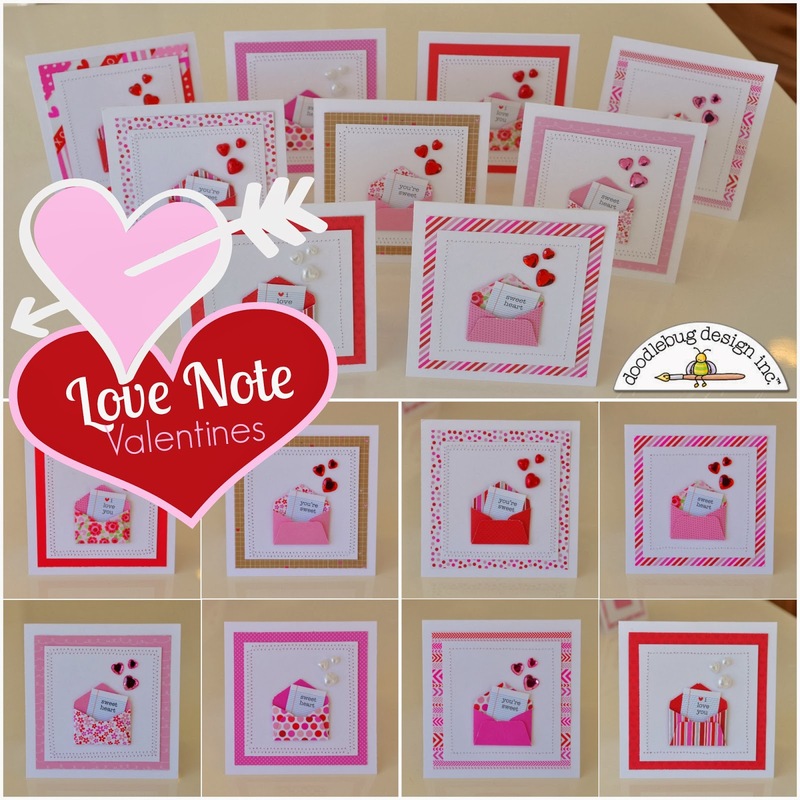 I know if you saw the little love notes in person you would fall in love too! These are so adorable Courtney!!!! ha, just figured it out, thanks doodlebug. Oh Court, these are so adorable!!!!! LOVE!!!!! !